There’s lots of family fun at the DAM this summer. The plaza installation Summer Is … celebrates the season, Jason Rogenes: V3H1CL3 invites families to play with an interactive soundscape, and the Sculpture Studio offers a chance to explore and create every day the museum is open. The Family Activity Cart is out daily for kids and parents to checkout a backpack or Art Tube. FREE First Saturday: July 5, 10 a.m.–5 p.m.
On the first Saturday of every month, enjoy the museum’s art collections and non-ticketed exhibitions without spending a dime! Free museum admission tickets are available on-site starting at 10 a.m. Free First Saturdays are sponsored by Target and made possible by the citizens who support the Scientific and Cultural Facilities District (SCFD). 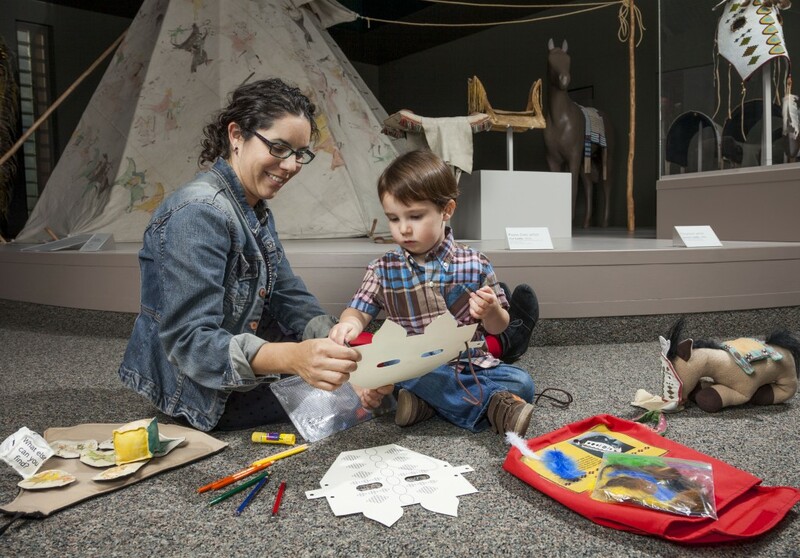 Create Playdate: Wiggle: July 9, 10 a.m.–1 p.m.
Drop in with your little ones, aged 3–5, and worm your way around the galleries to find art that wiggles. Create art, read stories and play art games in the galleries. Included in museum admission; children 5 and younger free. Families with little ones are invited to Totspot Sunday on the second Sunday of every month. Watch Buntport Theater perform in the galleries, then check out all of the other museum activities available for families. Included in museum admission; children 5 and younger free. CelebrARTE: Fronteras: July 20, 1–4 p.m.
Bring toda la familia to celebrate your creativity and cultura at CelebrARTE. Explore the frontier and the vaquero lifestyle as we look at art from El Norte, or the Old West. Included in museum admission; children 5 and younger free. For more information, visit the Denver Art Museum website.